A pop of colour for you ears. 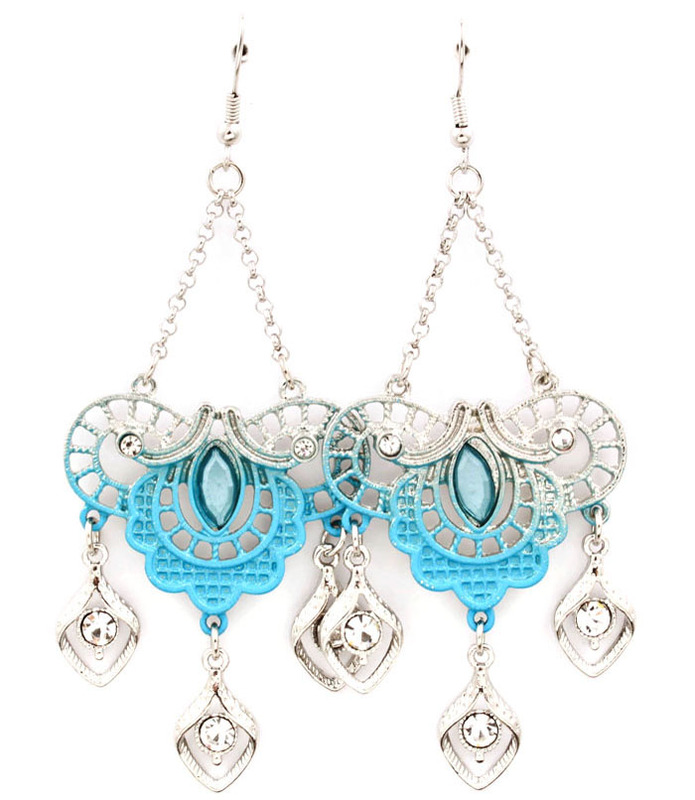 The Cora Chandelier Earrings make a stunning silhouette blending silver crystals with the sky blue of the central stone. The most perfect day to night earring around.Add this beautiful piece of costume jewellery to your collection today.